Every mom deserves the chance to have a healthy baby. But too many women in Orange County don’t have access to prenatal care or know how to take advantage of services. They may not understand the importance of early intervention or they may lack the financial resources to look after themselves, let alone a developing baby. Or they may question whether their “mother’s intuition” is simply a lack of knowledge, fear or silly nervousness. For these moms, there is MOMS Orange County. Today, MOMS Orange County serves more than 3,500 low-income pregnant women annually in underserved communities in Orange County. Under registered nurse supervision, the MOMS Orange County staff provides access to prenatal care, health screenings, infant developmental screenings, health education and referral services through monthly home visits and group classes. Mothers and their babies receive one-on-one education and support during pregnancy and through the baby’s first birthday. And even though their moniker is MOMS Orange County, they help new fathers and fathers-to-be, too. Services are offered at no cost to those who qualify. Their approach appears to work. Only 7.6 percent of MOMS Orange County clients give birth prematurely. That’s in sharp contrast to the U.S. average of 11.5 percent. Low-income and disadvantaged women are at higher risk for delivering infants with poor birth outcomes and subsequent health and social problems. To address these factors, MOMS Orange County has designed a low-cost alternative to traditional case management and health education. Under registered nurse supervision, its staff provides services during monthly home visits and group classes. Mothers and their babies receive one-on-one education and support during pregnancy and through the baby’s first birthday. One unique approach that MOM Orange County staff members take is to acknowledge and discuss with new moms the legitimacy of that intangible – but very real – mother’s intuition. Many times, when clients of MOMS Orange County have a “feeling” about their baby, an in-home developmental health screening by MOMS Orange County finds the mother’s instinct is correct. MOMS Orange County encourages moms to trust themselves. 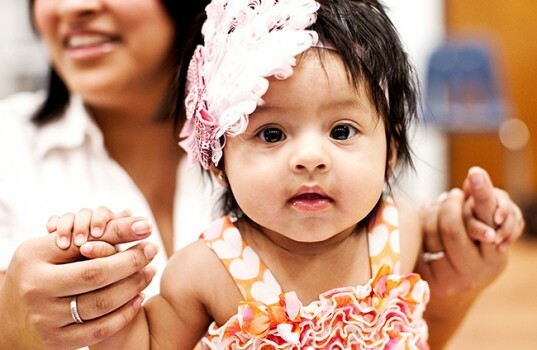 To learn more about how you can help Orange County families have healthy babies, visit MOMS Orange County at momsorangecounty.org.